Ambergris Caye is the singular location that continues to construct the most hotels since 2011 and holds a lion’s share of the tourism market. But crime persists on the island. Last night a nineteen year old resident of the island was killed. Love News travelled to San Pedro Town were friends say the teen was not a trouble maker and certainly did not deserve to die on the street. Love News also spoke to Horace Cadle senior and he says his son was not involved in any type of illicit activities. On Wednesday, March 13th, just before midnight, San Pedro Police were alerted of a body on Blake Street in the San Pablo Area of San Pedro Town. When police arrived, they observed the motionless body of 19-year-old Horace Cadle Jr on the side of the street. A closer inspection revealed that he had been stabbed several times to the right side of the chest and left side of the neck. No motive has been established, and up to press time, no one had been arrested. On the night of his demise, he was observed walking alone. Later, three Hispanic-looking men were observed walking in the opposite direction of the street, and minutes after the police were called after a driver discovered the body on the road. The police report says that upon arriving at the scene, they observed Cadle dressed in a grey t-shirt and a red and grey 3/4 pants. He was bleeding from multiple stab wounds to the upper part of his body. Family and friends are in shock, grappling for answers. According to them, he was not known to give trouble, and cannot believe that he was so brutally murdered. 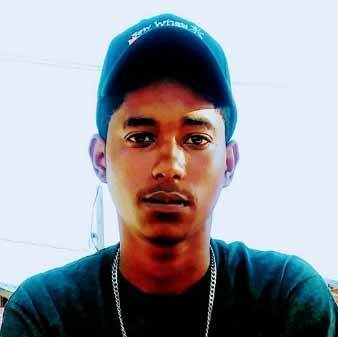 Cadle’s death marks the second murder on the island for 2019.